January and February are cold months and offer a perfect excuse to escape to the warmth of the Riviera Nayarit. Among the many options we have to offer our visitors are a series of events, with something for every taste and every pocket in this diverse and surprising destination. 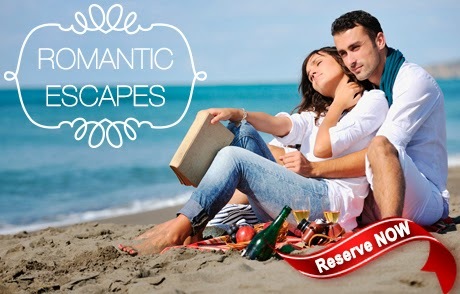 Before giving you the scoop on the main events going on in February, we’d like to invite you to check out the excellent Valentine’s Day promotions we have prepared just for you: http://www.rivieranayarit.com/special_deals You won’t want to miss them! Every Saturday from 9 to noon the boardwalk in Nuevo Vallarta comes alive with a variety of exhibits by local artists, painters, artisans and sculptors. Here you’ll have the chance to hear stories and legends about travelers who’ve passed through and, above all, you’ll have the opportunity to experience more to the Riviera Nayarit than just fun in the sun. Take your time and enjoy a bite or something to drink at one of the many local cafés or restaurants while you take in the gorgeous view of sailboats and yachts. If you’re looking to experience a traditional Mexican village festival, you can’t miss the San Blas Patron Saint Feast that takes place every February 3rd. The activities begin at dawn with the traditional mañanitas and Mass (or misa de gallo: the rooster’s mass), followed by the dancing concheros, which don’t stop their pre Hispanic folk dance until about 3 in the afternoon. At that time, the image of Saint Blaise, or San Blas, emerges from the Church’s atrium and is taken in a procession to the pier, where he blesses the sea so the people of Nayarit will enjoy abundant fishing and calm waters for their travels, ensuring the prosperity of all who live there. The myriad boats are festooned in bright colors and the procession continues on board, accompanied by the prayers of the entire community. Once the image returns to the beach, the village begins its festivities complete with fireworks and a grand jamboree. The traditional Carnival returns from February 8th through March 4th, bringing with it its own customs and traditions including the burning of the “bad temper,” dance troupes, comedy, music, fireworks and a jamboree. Don’t miss this colorful event and the opportunity to enjoy the excellent cuisine of San Blas. Once again, Entre Amigos invites you to join them in San Francisco on February 20th to enjoy an interesting and very entertaining exhibition of children’s art. The goal is to motivate the children of San Francisco, the cultural capital of the Riviera Nayarit, to hone their innate creativity.